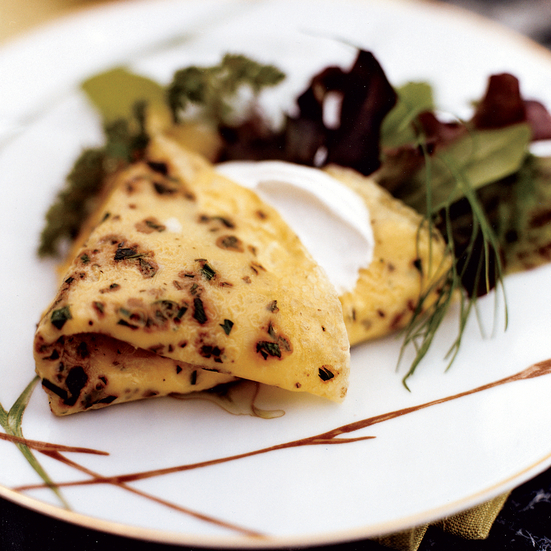 These delicate, French pancakes can be filled with so many fun treats. 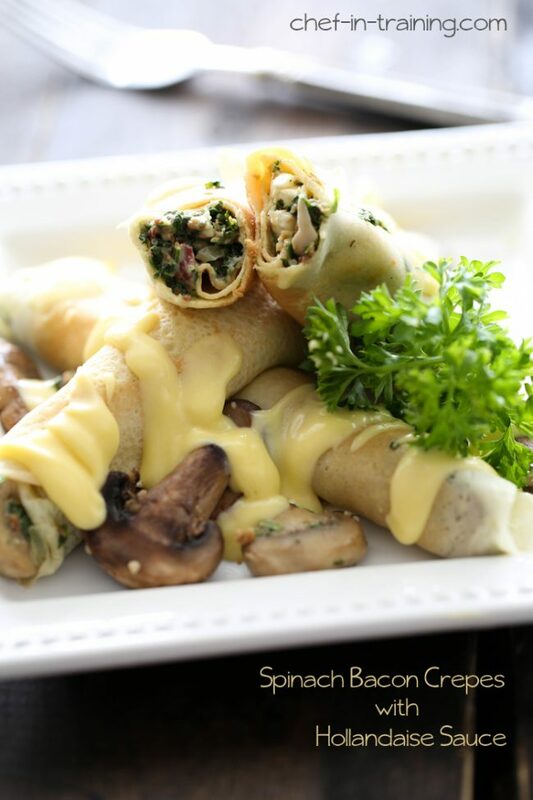 From the sweetest indulgences to the cheesiest and meatiest concoctions, it’s a great way to serve a light lunch of a fun dinner for you, the family or for a few of your best friends. 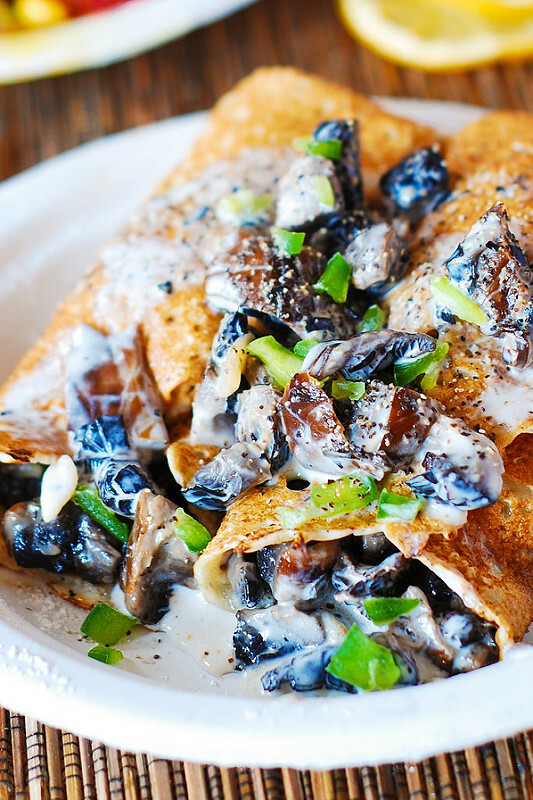 And with these 25 savory crepe fillings you’ll be rounding out the brunch menu quite nicely. 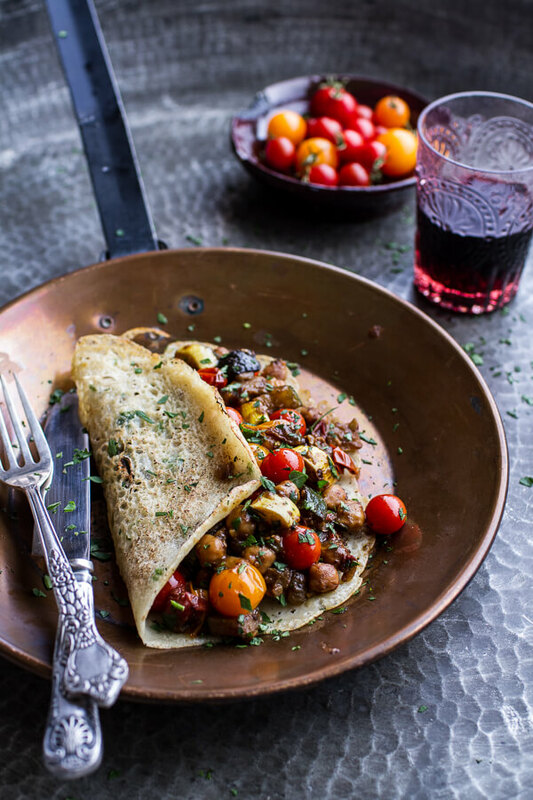 Half Baked Harvest whipped up a crepe recipe that works perfectly for a light and satisfying dinner. It’s also a great plate to serve up for friends when they’re over for a bite. 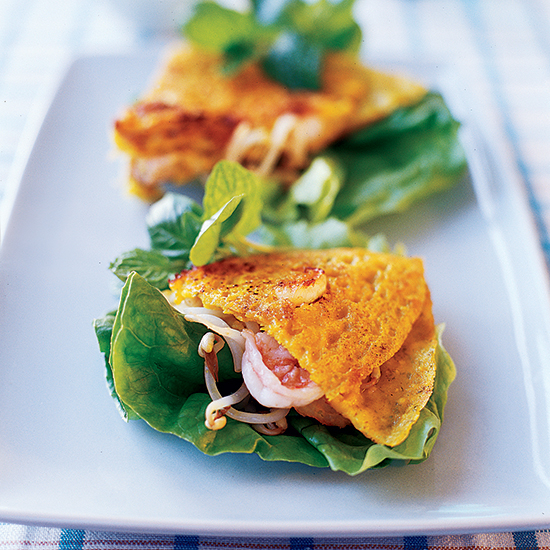 If you’re a seafood lover, pop on over to Kraft and scoop up this recipe. A bit of shrimp and crab some together in this creamy creation. Food & Wine made some crepes with smoked salmon inside. 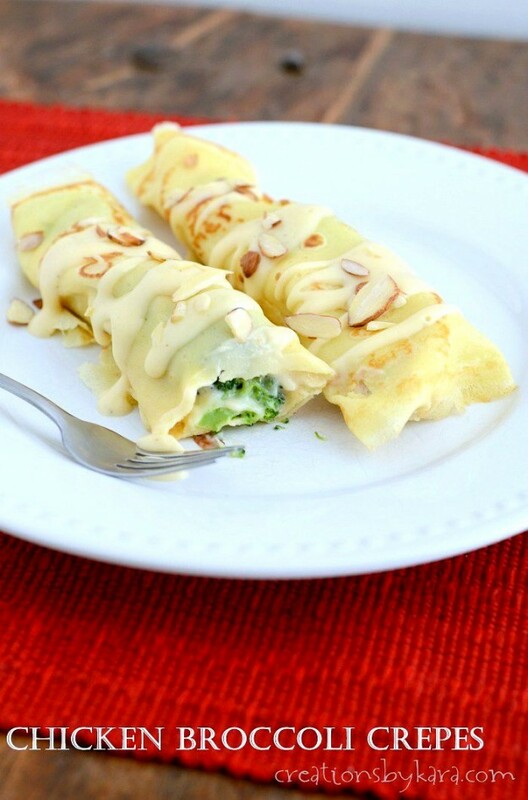 Serve these up at brunch time for an extra special treat. If you want another fun concoction, check out this one from Food & Wine too. Shrimp, bean sprouts and pork come together quite nicely here. We found the most perfect brunch recipe around! 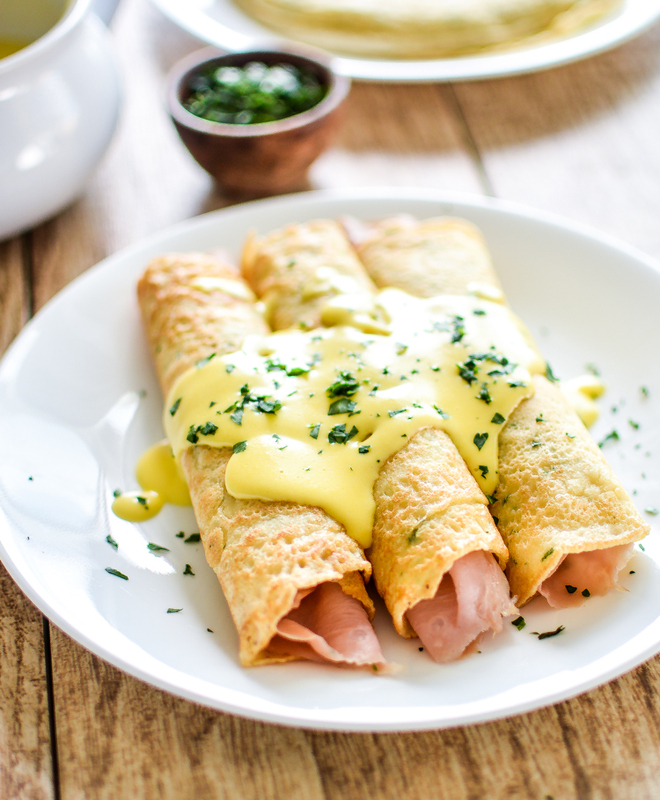 Cooking & Beer threw some ham, cheese and hollandaise together for this one. 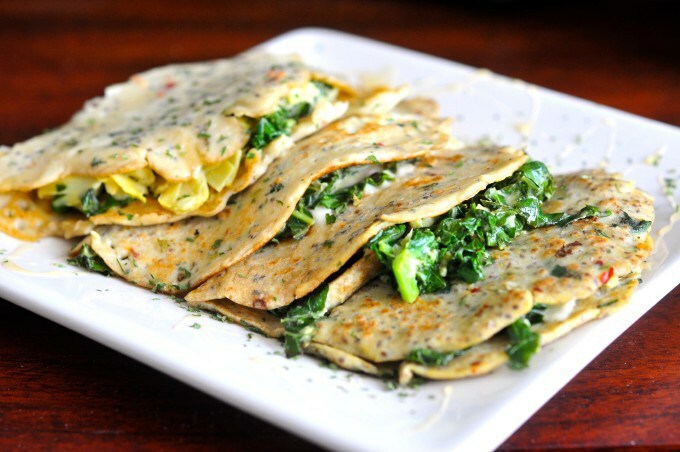 Cookies to Kale make a kale and artichoke crepe that vegetarians will love. 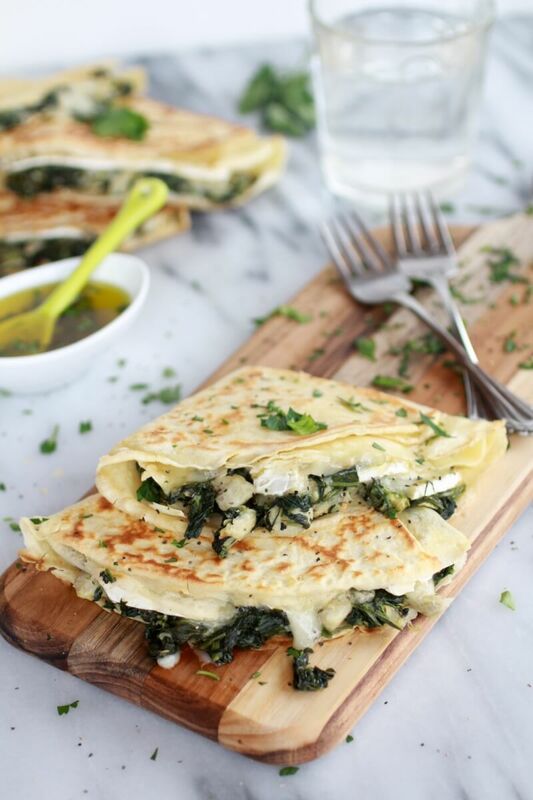 Or maybe you’re just craving something a bit lighter and healthier, this can be your new go-to. 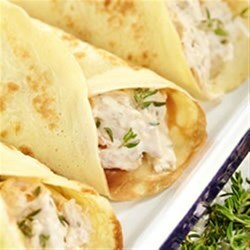 All Recipes mixed up some rotisserie chicken and cream cheese for something deliciously satisfying. These are great as a dinnertime treat as well! Chicken and mushrooms are a powerful duo and one that satisfies across the board. 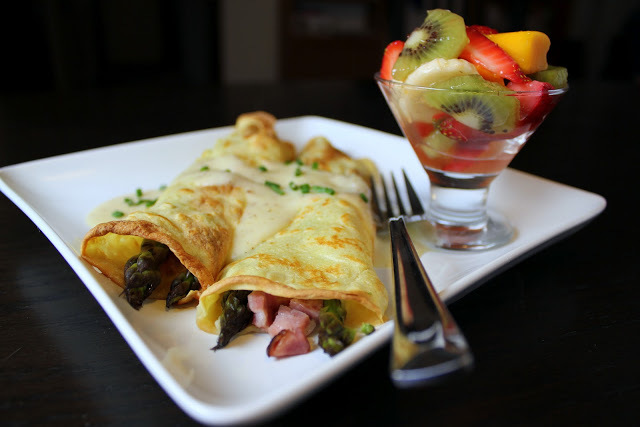 Check out Julia’s Album for the recipe behind this yummy crepe filling. Food has a recipe where mushrooms take center stage again. For those that wants to nix the meat, dive into this one! Chef in Training made a personal favorite by mixing up some spinach and bacon crepes. And to make it even better, it was all topped Hollandaise sauce! 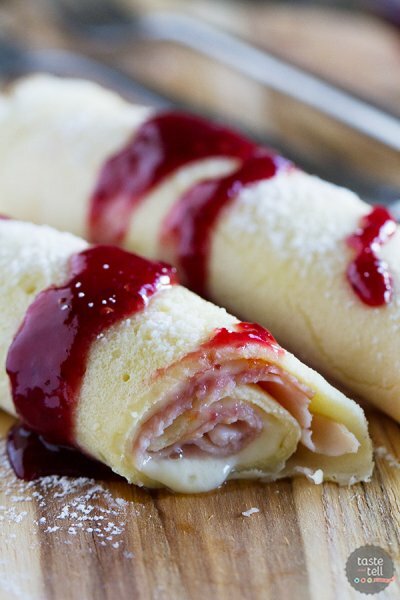 Food Blogs whipped up a monte cristo crepe that we’re absolutely drooling over. Don’t forget the raspberry topping! Are you a fan of tacos? 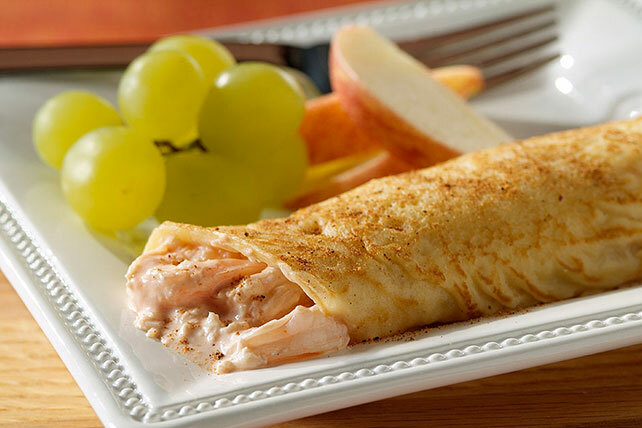 If so, fill up your crepes with some taco-inspired enchilada filling with help from Mel’s Kitchen Cafe. Naturally Ella made another favorite for those that want to go without some meat. 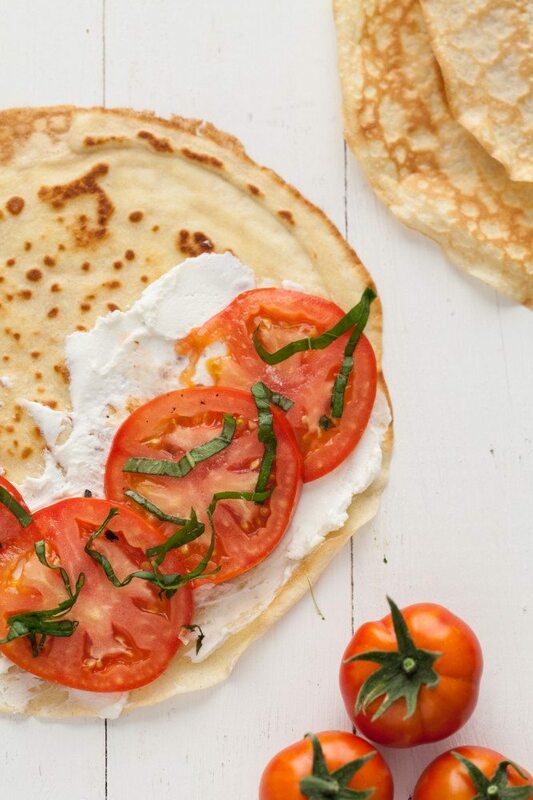 Inside you’ll find a caprese crepe to serve up at brunch time for the family. 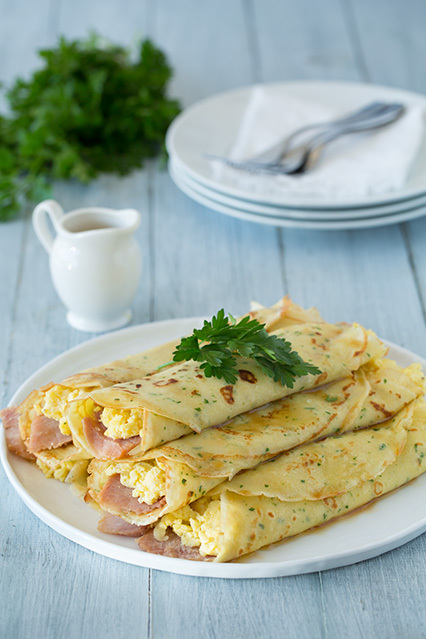 Cooking Classy made a breakfast crepe the family will love too. Ham, eggs and swiss are a classic combination that’ll satisfy every time. Creations by Kara knows that chicken and broccoli goes together seamlessly too. 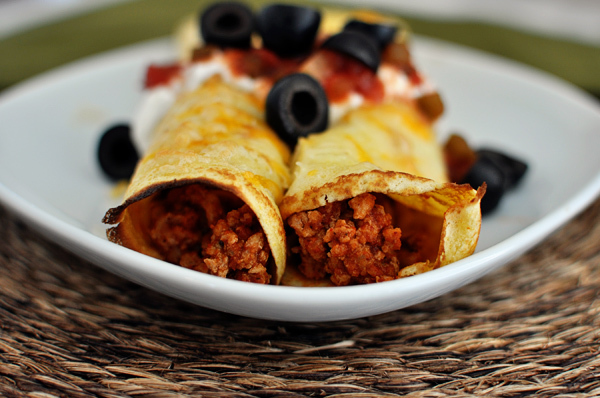 Check out this recipe and whip it up for dinner tonight! 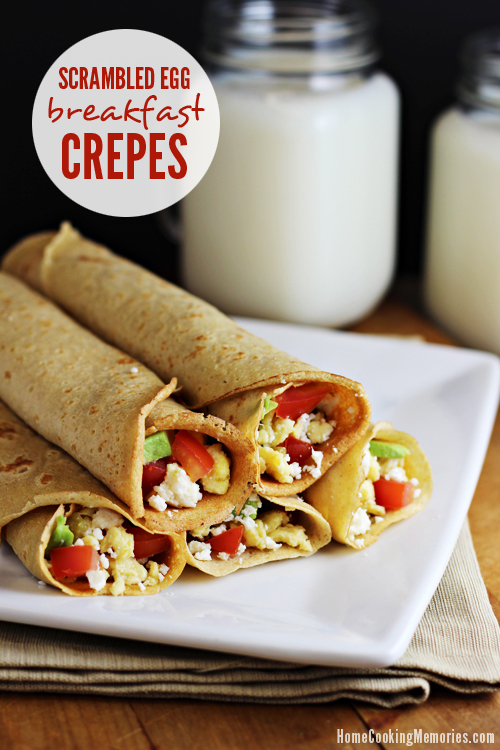 Here’s another breakfast recipe that you’ll love. 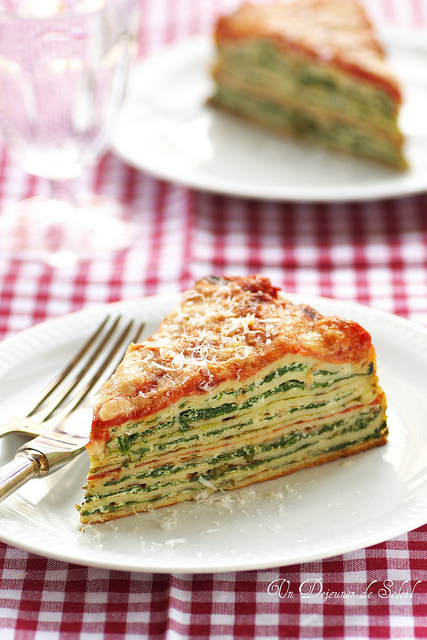 Home Cooking Memories shows us exactly what to do to make these right at home. 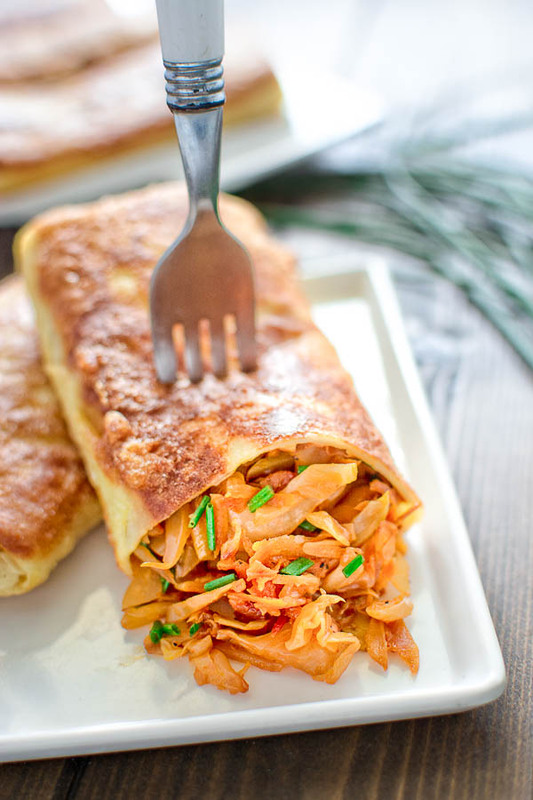 Over at Cooktoria, you’ll find this delicious cabbage-filled crepe to try your hand at. Grab the recipe and try it out at home now! This beautiful recipe is from Half Baked Harvest. 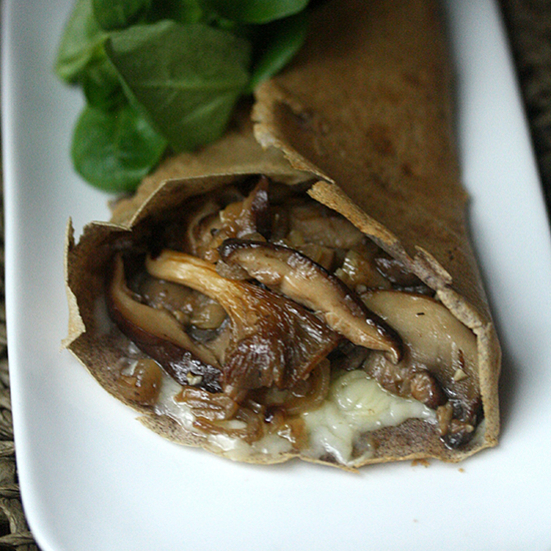 Fill up your crepe with veggies and dive right into this special dish. 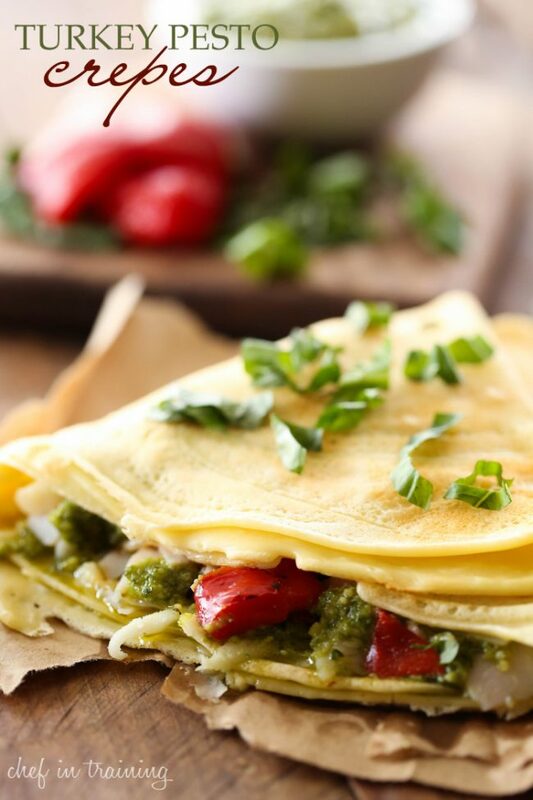 Turkey and pesto can be quite the delicious combination too. 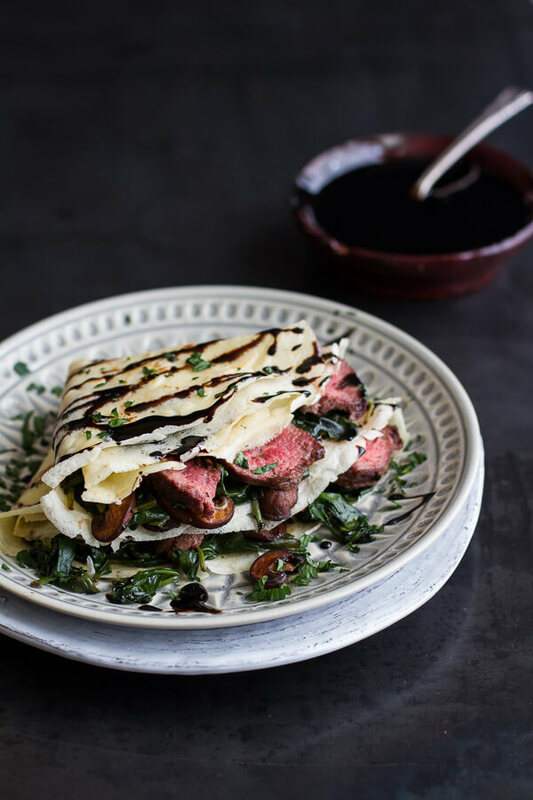 Grab this recipe over at Chef in Training and done forget to add a bit of cheese! 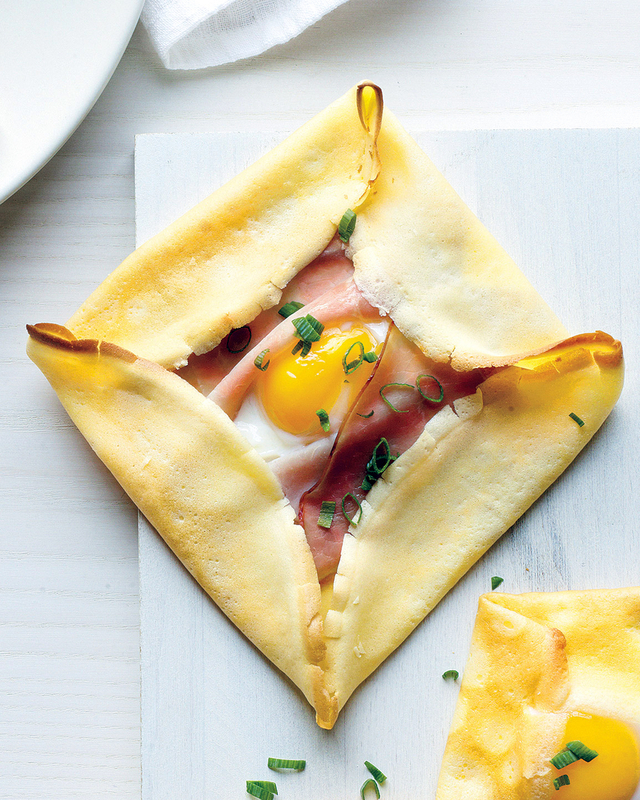 Martha Stewart has another ham and egg recipe that we’re loving. It’s not only pretty to look at but it’s delicious to bite into. Food & Wine mixed up some mushrooms and gruyere cheese. 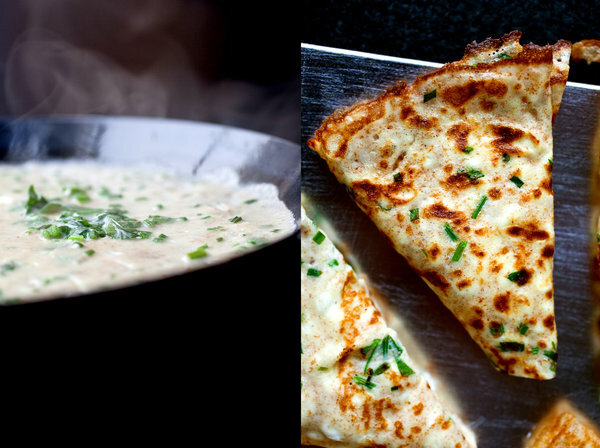 It’s got French flair and will satisfy all the tummies at the table. 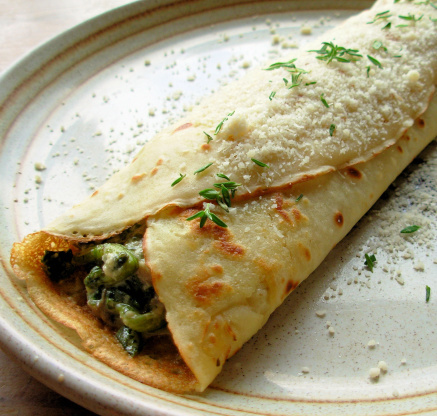 And finally, Half Baked Harvest gave us another classic, veggie-centered combination with this spinach, artichoke and brie crepe. Serve it up this weekend!